Scouts and Scout Leaders, Dawn Brotherton has been a Girl Scout for many years and also a Girl Scout leader herself. She loves working with young girls, inspiring them to become whatever they want to be. 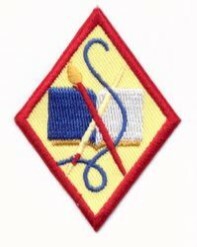 Through her workshops the girls can earn a variety of badges, including a “Build Your Own” for the older scouts. Travel to your troop meeting location is typically restricted to the Tidewater, Virginia (Colonial Coast Council) region, but anything is possible through Skype and other venues. It never hurts to ask. Don't have enough in your troop to have your own workshop? 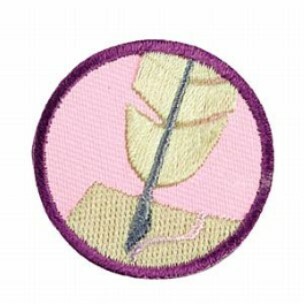 Join in with other girls on Apr 13 to earn your Novelist or Publishing badge. Daisy, Brownie and Junior Workshops include a signed book from Dawn Brotherton’s Lady Tigers Series. We'll create a story together and make our own book to take home. Imagination begins at home. 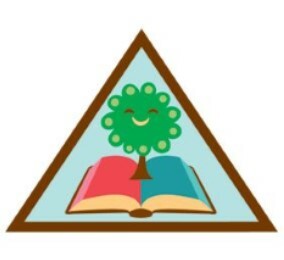 We’ll start by exploring family stories, making a story tree, and creating something memorable to take home. Where do ideas come from? Is outlining necessary to write a story? Why is writing important? What careers are available for writers? How do you overcome writers’ block? Learn how to create a story board and build your own Wheel of Ideas to take home. Publishing a book takes a lot more than just the story. The cover design must capture your attention. The words on the back cover must intrigue you enough to open the book. The formatting must look professional. Discuss how printing has progressed over the years. Make your own book to take home. There is even an option to tour a printing company in Williamsburg, VA. Explore the art of creating characters with a solid backstory, developing plots that keep the readers engaged, and editing your work…before sending to an editor. Novelist Dawn Brotherton will share her tricks of the trade and answer questions to encourage girls to write. 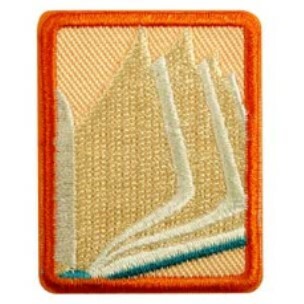 For best results, complete Novelist badge above first (can do at as an Ambassador). This “Build Your Own” badge will cover the Road to Publishing. Learn how to write a query letter to attract an agent or publisher. Explore the opportunity to self publish. Discuss marketing and social media outlets. Brainstorm marketing techniques. Learn from someone that has been there! Bring your questions. * Prices quoted for up to 60 mile travel from Williamsburg, VA. Additional fee may apply for further travel. Blue Dragon can provide a location in Williamsburg for no extra charge. Troops may combine for workshops. Prices listed good through Jun 2019. If you would like more information, drop us an email (see form below). Please let us know what time and dates you prefer, and we will try to accommodate your schedule. What city do you meet in? What day of the week and timeframe are you considering?